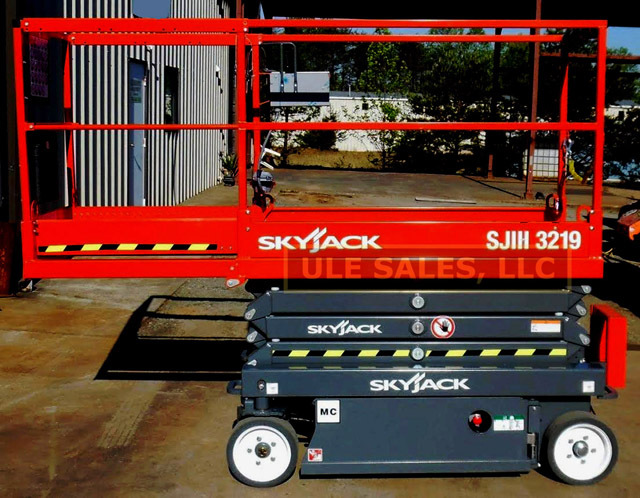 New 2019 Skyjack SJ4740 electric scissor lift for sale - includes a 2-year full warranty (parts and labor) and a 5-year structural warranty from Skyjack Corporation. - 38.7" platform height, 44.7" ft working height, 47 inches wide, 500 lbs. 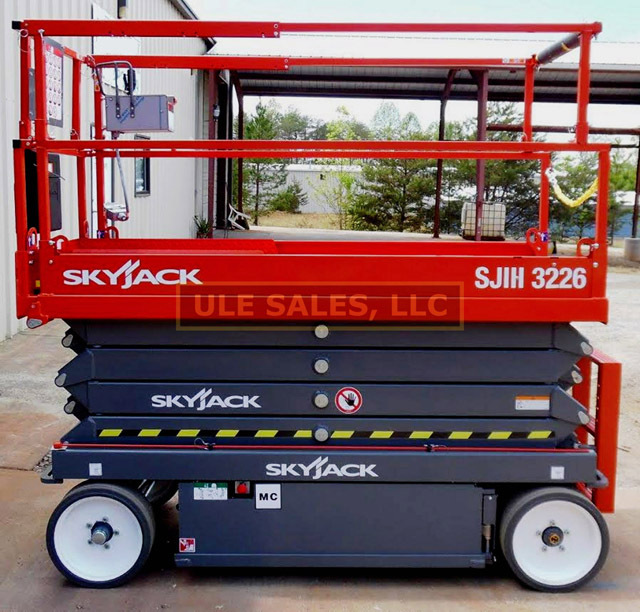 lift capacity, 3 ft slide out extension deck, 7,480 lbs. operating weight. Delivery will be in approximately 2 weeks, once I receive your payment. Please call Walt at 1-800-232-5079 to ask for a freight quote to your location and your total delivered cost.